A RETURN to form by Port Macquarie suggests the Magpies can still possibly throw a cat among the pigeons during the fast approaching finals series. While Port Macquarie didn't beat an undermanned Sawtell/Toormina, the close five point margin could've easily gone the other way had the Magpies been more accurate in fron of goal. 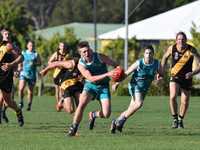 Despite having one less scoring shot at the last break Sawtell/Toormina led by 19 points but Port Macquarie had a withering final burst in it. 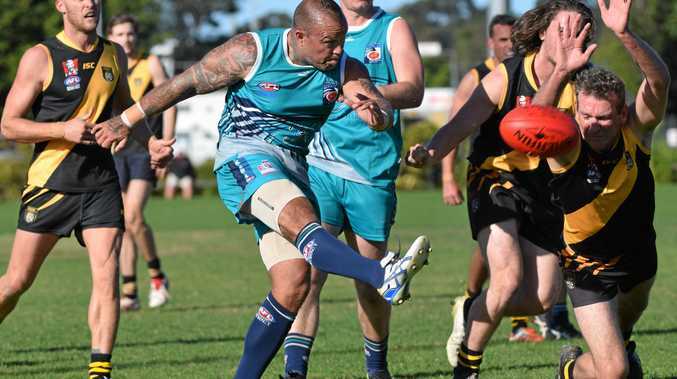 The Magpies kicked four goals to two in the final term and it was only a sealing goal from veteran Saint Mark Couzens which foiled the upset of the season happening. The Saints were well led by Luke Matthews who won the hard ball all day while Dan Pritchard kicked four goals to lead the scoring. The Coffs Breakers got the percentage boosting win they were looking for with a 137 point margin over Grafton. The result sees the Breakers hold a handy advantage of a game and 30 per cent over Sawtell/ Toormina meaning it's highly unlikely that Breakers can have the minor premiership taken off them irrespective of the result of this Saturday's local derby between the two teams. For the Breakers the win was never in doubt with the home team holding a four goal lead at the first break which extended to nine goals by half time. Josh Hunt, Luke Symons and Brett Vella kicked three goals each for the victors.